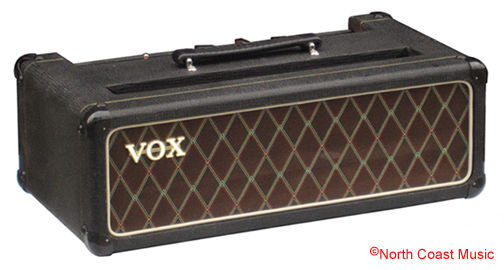 This was the third version of the Vox AC-50 head. 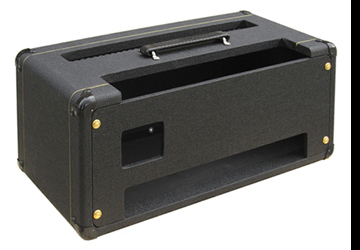 It combined the single channel, four input version of the AC-50 Mk I chassis with a small box, thick edge" cabinet. It was produced in mid 1964. 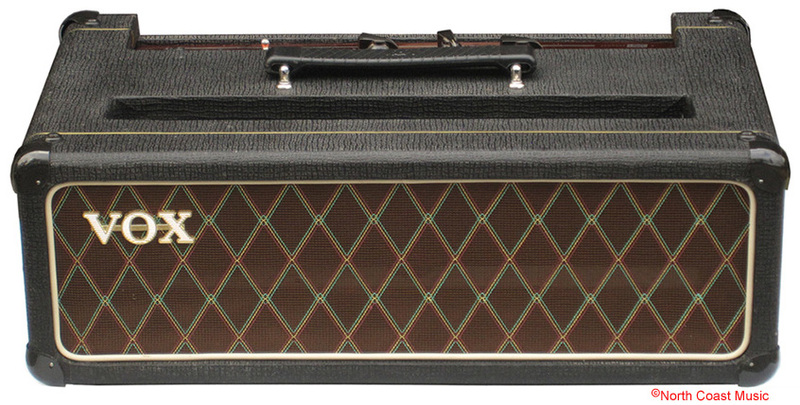 The original version of the AC-50 was a single channel amplifier. It had a copper control panel with dual 1/4" instrument inputs, volume, treble and bass controls, indicator lamp, power switch, fuse and a plug style voltage selector. 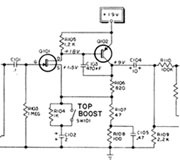 The tube complement included a GZ34 tube rectfier, two fixed biased EL34 power tubes, two ECC83 (12AX7) and one ECC82 (12AU7) preamp tubes. 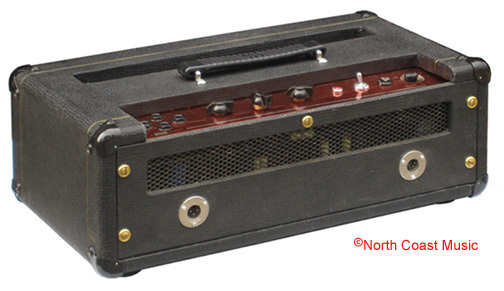 The second version of the single channel Mk I chassis was used with the AC50 Mk I "small box, thick edge" amplifier. It was identical to the original AC-50 chassis except it had four 1/4" instrument inputs rather than two. 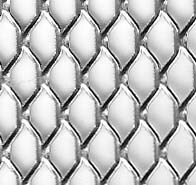 These were arranged into the shape of a diamond on the left side of the control panel. The thickness of the cabinet sides increased from 3/8" on the original AC-50 Mk I amp to 3/4" on the "small box, thick edge." 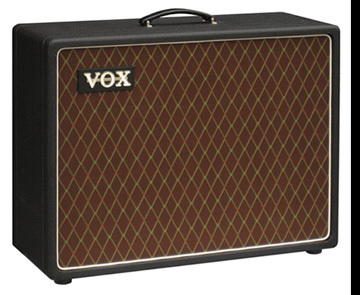 The new cabinet featured eight one pin corners, a Vox handle, a small Vox logo and pancake feet. 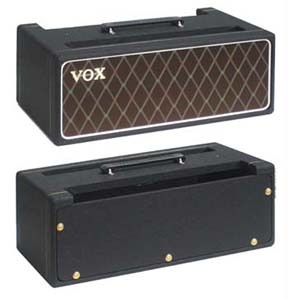 This version of the AC-50 Mk I amp head was paired to the newly introduced Mk II or "big box" AC-50 speaker cabinet and swivel trolley in a Vox catalog from September 1964. 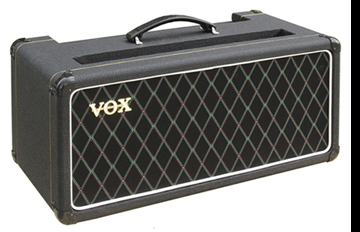 Black basket weave vinyl covering was used for most of the AC-50 MkII production, but examples of this amp in the smooth vinyl covering Vox used in 1963 have also been spotted. 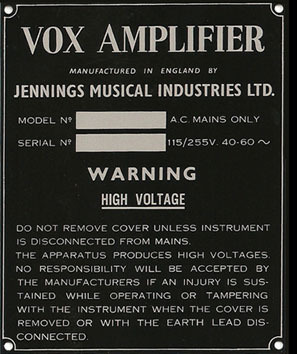 The serial plate was fastened to the bottom of the amp as there was insufficient room to mount it to the back. 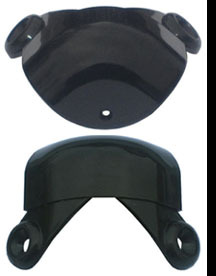 Twin XLR jacks were mounted on the rear panel. The three pin XLR jack on the left was for speaker output. 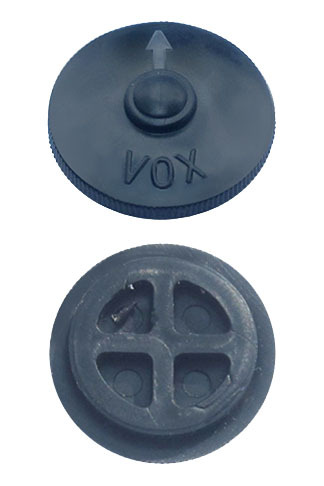 The four pin XLR jack on the right was used to supply AC mains voltage to the amplifier. 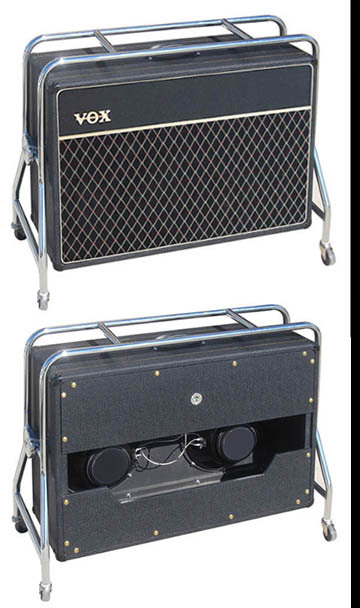 Chassis ventilation was provided by two expanded aluminum grills in the top and back of the amp. A third vent was located in the front panel, under the fret cloth. The chassis was fastened to the bottom of the enclosure with machine screws. This model predates the use of a chassis slider board on the AC-50. Chassis slider boards were introduced on the Mark II version of the AC-50. 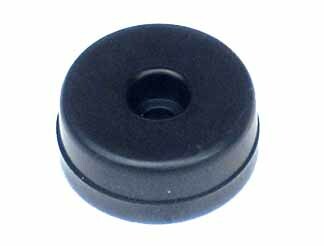 and repair parts for the Vox AC-50. Some are shown below.